Workers on the site of the new Sequel 138 development at 138 E. Hastings (opposite Insite) say that the building should open up in December. 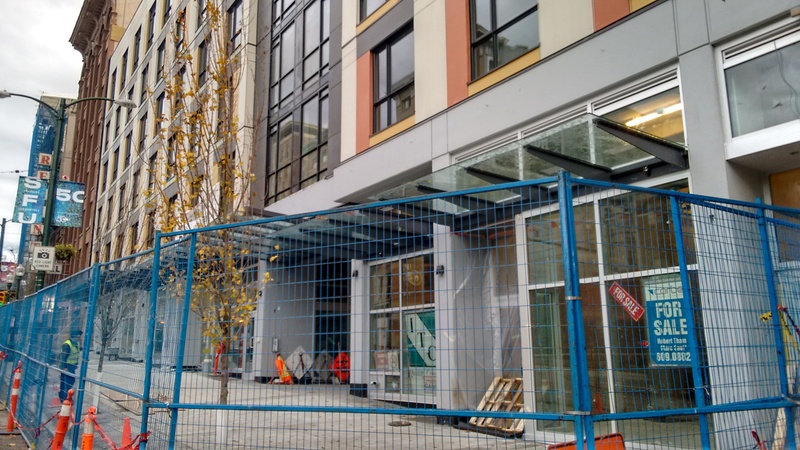 It will contain 79 condos that cost about $250,000 and more, 9 social housing units at welfare rate and 9 social housing units that will rent for BC Housing Income Limits ($912). The development also includes 10 retail storefronts that are selling for around $1 million each, the largest selling for $1.36 million.